Multiple Myeloma (MM) is a bone marrow malignancy affecting the generation pathway of plasma cells and B-lymphocytes. It results in their uncontrolled proliferation and malignant transformation and ultimately can lead to osteolytic lesions first visible in MRI. The earliest possible reliable detection of these lesions is critical, since they are a prime marker of disease advance and a trigger for treatment. However, their detection is difficult. 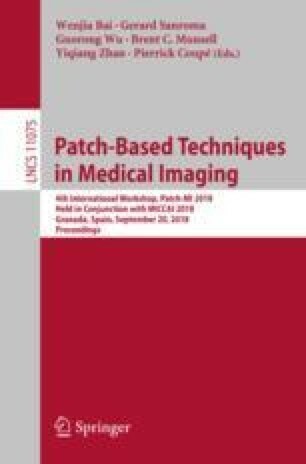 Here, we present and evaluate a methodology to predict future lesion emergence based on T1 weighted Magnetic Resonance Imaging (MRI) patch data. We train a predictor to identify early signatures of emerging lesions before they reach thresholds for reporting. The algorithm proposed uses longitudinal training data, and visualises high- risk locations in the bone structure.